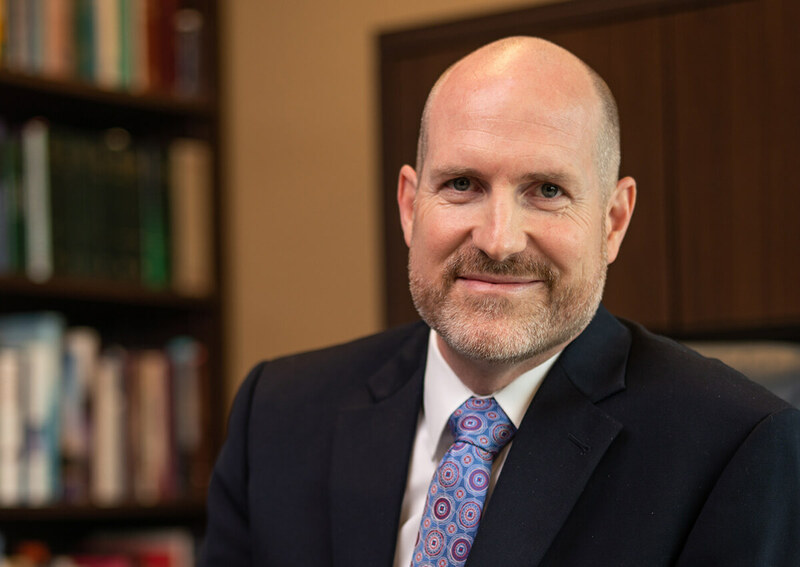 Dr. Steven D. Mason joined the School of Theology and Vocation at LeTourneau University in 2006 after spending four years in St. Andrews, Scotland, pursuing a Ph.D. in Old Testament Studies. Dr. Mason's excellence in both teaching and scholarship coupled with his ability to connect with students make him a favorite in and out of the classroom. He has taught twelve different Bible classes at LeTourneau such as Biblical Hebrew, the Pentateuch, Biblical Covenants, Old Testament Prophets, and Advanced Hermeneutics, and he consistently teaches in the university's Honors College. Dr. Mason has an impressive record of publications and presentations in the field of biblical studies, represented in particular by his book entitled Eternal Covenant in the Pentateuch: The Contours of an Elusive Phrase, published by T&T Clark in 2008. He is currently working on two other books under contract with Wipf & Stock Publishers and Baker Academic, respectively. Dr. Mason has served well on a number of university committees and special assignments. His leadership among his peers was officially recognized when he was voted president-elect of the Teaching Faculty Organization before moving into administration in the roles of associate vice president for academic affairs, then associate provost and dean of faculty. He was appointed provost in fall 2016. Dr. Mason is committed not only to Christian education and scholarship, but also to church life and discipleship. He is a licensed minister and an ordained elder at One Hope Presbyterian Church in Longview. He and his wife, Bonnie, both graduated from Dallas Theological Seminary and Baylor University, have three children (Caroline, William and Christopher), and enjoy conducting marriage preparation courses for engaged couples. While in Dallas, Dr. Mason served on Young Life staff and coached athletics at Providence Christian School of Texas. Born and raised in San Antonio, Texas, he was an All-City quarterback and second baseman at Churchill High School. He is still an avid Spurs fan and is serious about his fantasy football. And, if you happen to see Dr. Mason on the street, don't be fooled-it could be his identical twin brother, Lyle. "My wife and I are delighted to have been called to serve LeTourneau University, an institution which unites academic excellence and spiritual formation within a distinctly Christian environment. I consider it a privilege to serve the university and its students in both administrative and faculty leadership. I look back upon my own college experience and remember how greatly I benefited from personal relationships with professors and others who shared their lives with me and quickly became spiritual mentors and models of the Christian faith. These individuals not only instilled biblical knowledge, but also biblical wisdom. Linked arm and arm with faculty and staff here, I hope to do the same for this generation of students at LeTourneau University; and in turn, be mutually strengthened and encouraged towards love and good deeds." Serving as the chief academic officer, the provost and vice president for academic affairs has executive-level responsibilities and duties across the university. The provost reports directly to the president and serves as the chief executive officer in the absence of the president. He leads the pursuit and implementation of the academic initiatives in the university's strategic plan and provides strategic direction to the university's eight academic schools (School of Aviation & Aeronautical Sciences, School of Arts & Sciences, School of Business and Technology, School of Education, School of Engineering & Engineering Technology, School of Nursing, School of Psychology and Counseling, and School of Theology and Vocation), the library and a number of offices, including accreditation and quality assurance, enrollment services, student services, registrar, research and scholarship, sponsored programs, global initiatives, international studies, information services, and instructional technology. 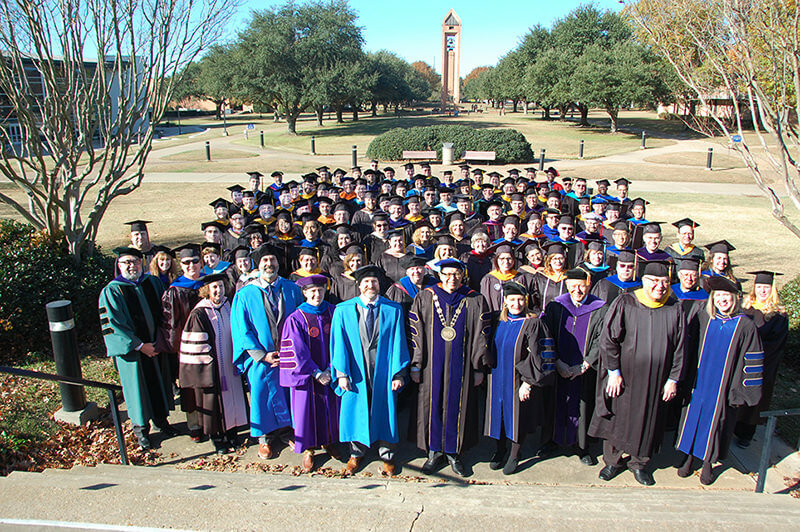 This oversight of academic and support service extends from the main campus in Longview, to the university's educational centers in Dallas and Houston, as well as all online programs. The provost oversees the recruitment, development, and performance of school deans, faculty, and academic administrators, and is responsible for the university's promotion and tenure process. He also leads in modeling the integration of faith and learning, and engages the broader evangelical Christian community to embrace the holy calling and eternal impact possible in the pursuit of the "every workplace, every nation" vision. LeTourneau University is consistently recognized by U.S. News and World Report as one of "America's Best Colleges." It has been honored for distinguished community service by being named to the President's Higher Education Community Service Honor Roll for exemplary service efforts. The faculty have been awarded more than $10,000,000 in sponsored projects. The University is an innovative, comprehensive university well-recognized for its educational programs.